Feed More’s Community Kitchen staff and volunteers prepare a variety of meals every day that are delicious and rich in nutrients and healthy ingredients. We’re excited to share some of our favorite recipes that our recipients enjoy through programs like Meals on Wheels, Summer Food Service Program and the Kids Cafe. 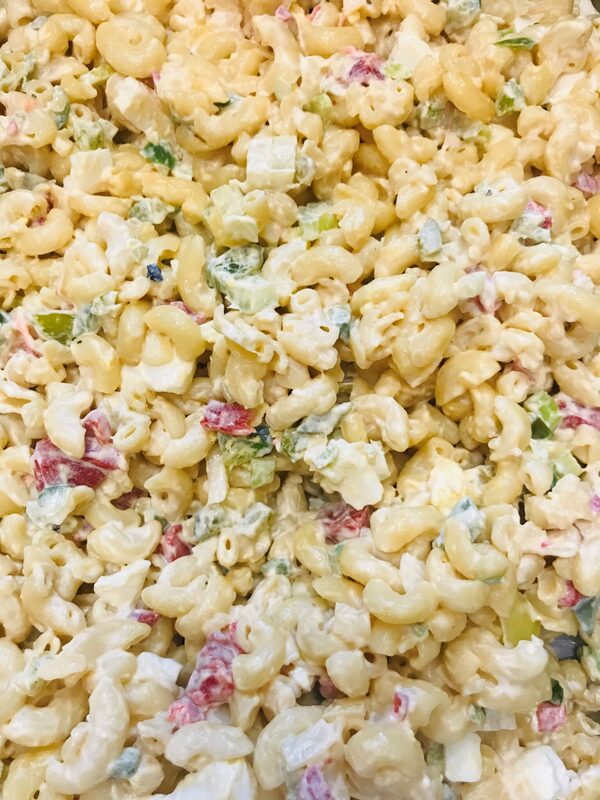 Our classic macaroni salad has the hint of spring we all need! Perfect for a picnic or a night of hamburgers and hot dogs, this simple but scrumptious recipe is sure to be a new favorite. Cook macaroni in boiling, salted water until al dente. Once cooked rinse in cold water and drain well. Add celery, green pepper, onion, red pepper and eggs to macaroni in a large bowl. Pour dressing over macaroni and mix well. Enjoy!